Maplytics™ is a Geo-Analytics Module designed for Dynamics CRM both on-premises as well as Online. The objective of this solution is to allow Dynamics CRM users benefit from the power of Bing Maps. It is easy to use/install plug and play application made available as a Managed solution within Dynamics CRM and it works seamlessly with all existing components and functionality of CRM. Everything in Maplytics is now a search away at our Maplytics InfoCentre. Welcome to our new world! How to upgrade to the latest Maplytics solution? Map Clustering enhancements for better visualization of your Dynamics 365 CRM Data! Maplytics™ – A Multi-Language Mapping App for Dynamics 365! Sales Territory Management and Distribution to effectively build your business within Dynamics 365! The Perfect Route Planning Dynamics 365 CRM Dashboards every Sales Rep should have! Sales Rep Dashboard – How to make one for Geo-Analytics of your Dynamics CRM Data! Maplytics Dashboards – Customer Insights at a Glance in Dynamics 365 CRM! Improve the Efficiency & Productivity with a Refined User Experience in Maplytics! Why Route Optimization is Vital for an Efficient Sales Process? 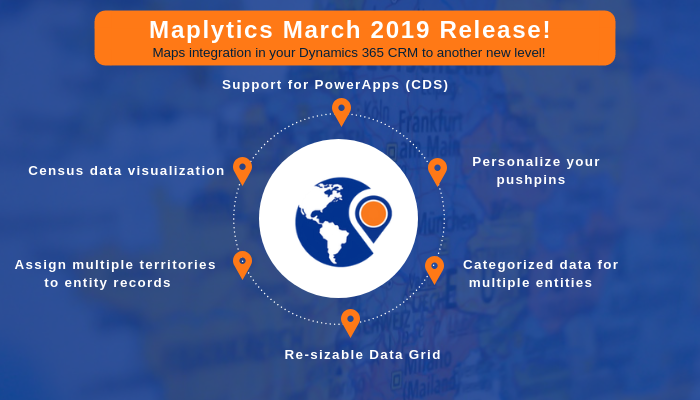 CDS Support, Census Data visualization – March 2019 release takes Maps integration in your Dynamics 365 CRM to another new level! 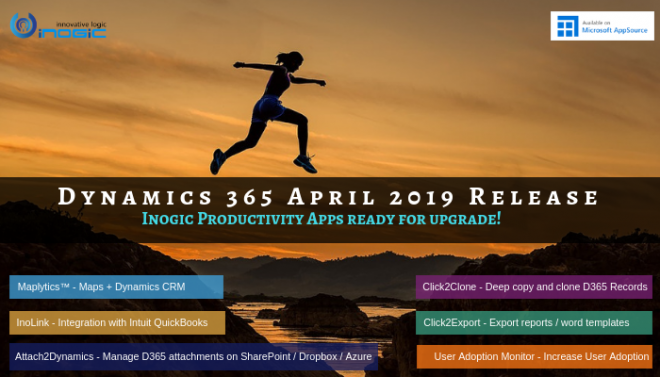 Visualize Census Data within Dynamics 365 CRM and some more user friendly enhancements coming up in March 2019 release! Maplytics Jan 2017 Release Announced!